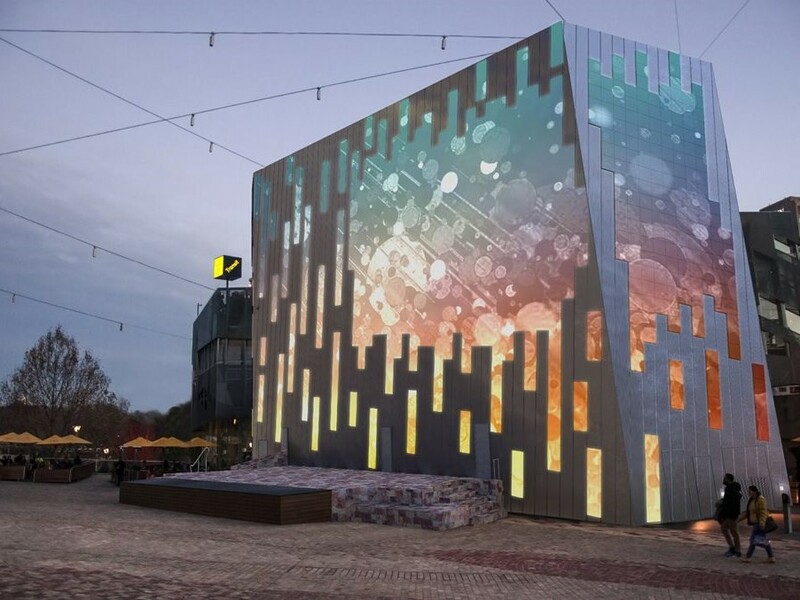 Melbourne’s popular public space Federation Square is set to undergo a $5.4 million technological refurbishment designed to improve its visitor experience with an integrated multi-screen initiative. Known as the ‘Digital Experience Initiative’, according to Victoria’s minister for Tourism and Major Events, John Eren, this work will make the area even more popular. “Fed Square is one of our top attractions for locals and visitors alike. It’s synonymous right around the world as a great place to meet, enjoy a meal, watch a big sporting or cultural event and simply take in the sights and sounds that make Melbourne great,” he says. As part of the changes, the current big screen will be replaced with a sculptural wall of interactive LED panels. The placement of the panels will complement the iconic form of Fed Square’s unique architecture, creating framed spaces for visual content. Additionally, a number of mobile interactive screens which are in the early design phase will be constructed and located throughout Fed Square. “It is one of the largest singular investments in digital-based innovation in any Australian cultural setting,” she says. At the centre of this new, digital experience will be a 5K, high-definition event screen with a 6mm pitch, to ensures quality display from a distance. According to reports, this will be a digital art gallery; a creative platform for public expression and a living piece of architecture. The Digital Experience Initiative will be driven by a program of user-generated content, commissioned artwork and community engagement, whilst retaining the capacity to broadcast live sport, current affairs and films. The initiative’s designer and collaborator is sound and light firm, Ramus, whose digital works range from rock concert lighting for U2 and David Bowie to public precinct redevelopment in most Australian capital cities. Now in its 16th year, Fed Square has welcomed millions of visitors, and hosted tens of thousands of meaningful civic and cultural events, and well as being as a meeting place for celebration, contemplation and conversation. Construction will begin in October 2017, and an official launch is expected in late April 2018. A temporary stage and large screen will be erected in the main plaza to host the many events and celebrations that will continue to be held at Federation Square during the build phase.